This nifty carrier is great for newborns and is compatible with most strollers with the correct adapters. It’s not the lightest once the baby is in and I feel there isn’t much room past 3months but it does it’s job. As the title says I'm a a mum.fo 5 and had a and I cosi for 4 of my 5 babies. Q e had a different style for our eldest and it was very heavy . Yes these aren't that light not with a a baby in but they are comfy the babies look so snug in them and you know they are safe. They are easy to adjust and the head bugger is great for the first 6 months. My twins go.in theirs happily and still fit in them at 11 months (they were premature though). They clip in great to the isofix which makes life easier. They do also fit nicely.on the bugaboo donkey (although make the pram wider then it already is). They are secure and good quality. They come in ncie designs and the black hoods are great and easy to.put up or to store in the back of the seat. They are easy to adjust the straps and the covers come.of easy to wash. The downside is they are heavy to carry baby in and awkward but that's car seats in general not juat this brand . 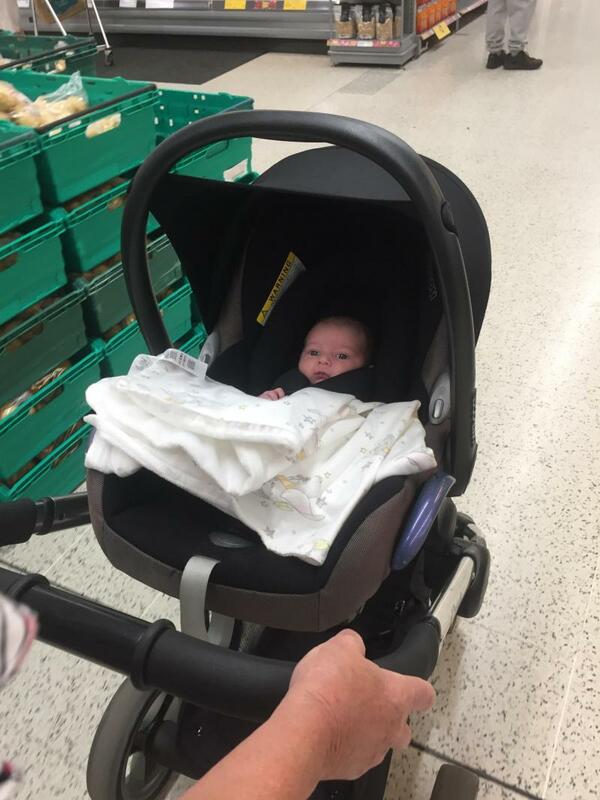 I wouldn't go back to any other brand now they just seem to support babies well and easy to click of the pram (with the little one press release button). They also look stylish but above all keep baby secure which is the most important thing. 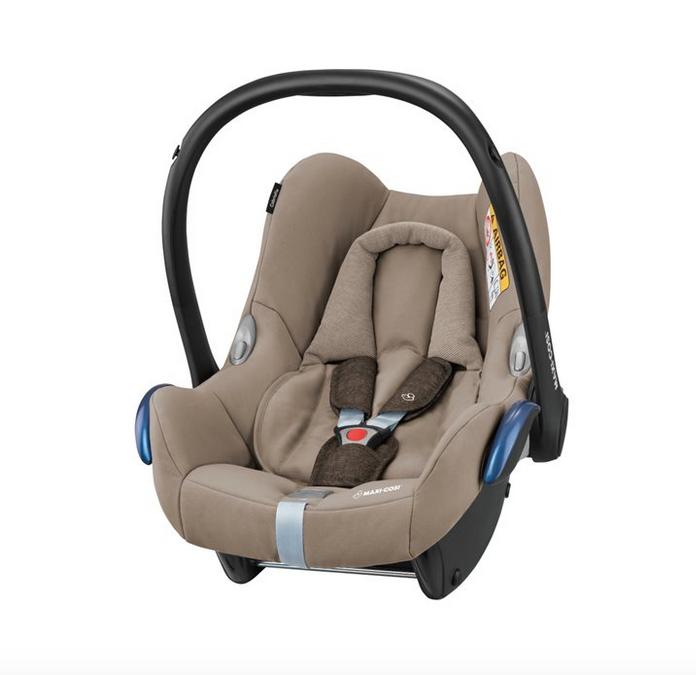 I bought two of these for my twins and they never cry when out in them, they are seven months now and still have plenty of room in them but the car seats are compact enough that I can fit them both alongside a toddler car seat in the back seat of my car. They fit perfectly on my pram and they fit a universal car seat rain cover. The only downfall I have with them is that once we took out the new born insert there was no head hugger for them and I had to buy one separately but over all I would never use a different brand of car seat. My baby girl still fits in it at 10 months old and we've never had a problem with it. It's portable and easy to use, she seems comfortable and happy. The car seat is great. My baby boy looks so comfy in it, and I love the newborn insert to keep his head more secure while he is in there. I think the seat is pretty light, however once my baby boy is in, it is quite heavy to carry now he is getting bigger. The hood could be a little better, I didn’t even realise it came with a hood, I propably should of read the instructions before I went ordering a ‘replacement’ one so I could ensure my boy would be protected from the wind/sun etc! Overall I think it’s a great seat for my baby boy! Easy to use especially with isofix base! Good price and good value. Safe comfortable for the children. Nice colours available to choose, easy to buy on eBay or top child's companies. This has been a great car seat for my little boy, it was the lightest one to carry out of all of them I tried to carry. Great colour and great buy! Newborn as it lies quite flat when installed. This is good to protect the baby’s windpipe. My midwife when commented on this design feature. Newborn insert is padded and comfortable, often my baby’s favourite place to be. This car seat is perfect for our little boy. It is easy to strap him in, is lightweight and comes with a hood. It’s easy to fit into any car and is very sturdy. Used this car seat from birth up until LO was about 11months old. LO still fits in it, but it’s rather a squeeze, LO is 19lbs so not a big baby for that age. It seemed to be very comfortable for LO. I loved that I could clip it onto my I Candy with some adaptors. This made to and fro-ing from the car really easy, especially if she fell asleep in the seat. The rain cover is a really good quality cover and fits like a glove. I love that it fits into the back of the seat. I simply strapped the seat in with the seat belts as I did not buy it with the base. It was a secure fit in the car with very little movement. I bought this on offer but the design looks different to my sister in laws and looks a lot less comfy than hers, so they must have changed the design. However I like the fact that it is one of the best for its safety features . The car seat is light weight and easy to carry. I just wish it was comfier! 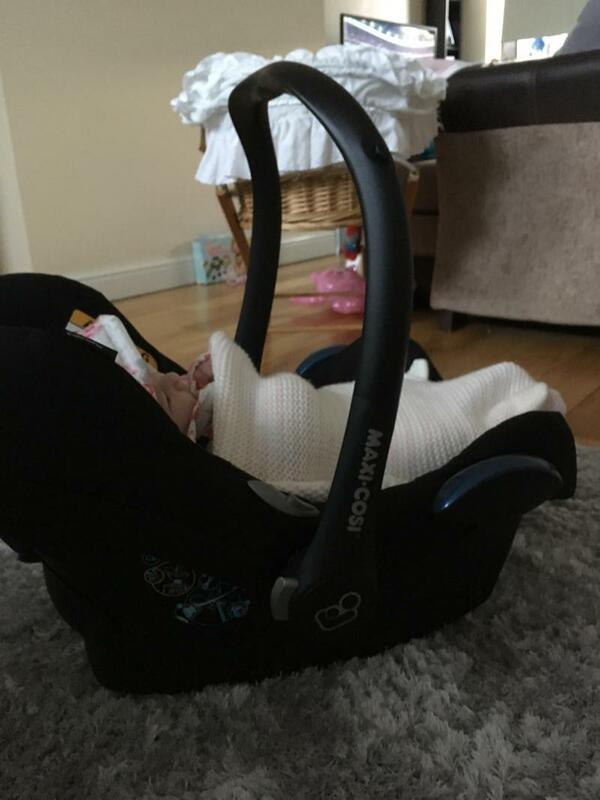 My daughter has used this car seat for over 4 months, the newborn wedge and insert were good although the straps never feel 100% secure to me, she either seems to squashed or without inserts, seems like its too big. I dont find the fit to be too great for her but i may just have an odd shaped baby! The seat is rather heavy but is easy to carry and use. The straps are quick and easy to alter and the instructions are clear and easy to follow. Perfect fit for premature babies and newborns. 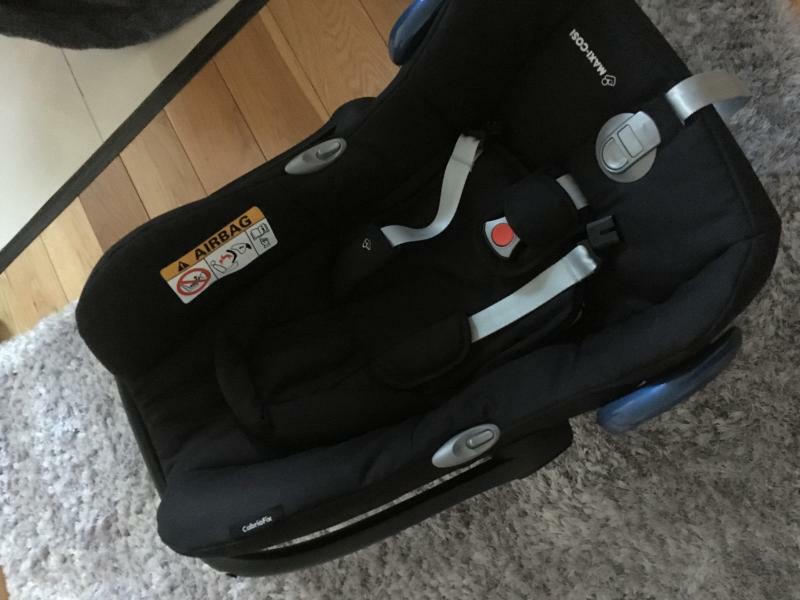 I brought this for my first born who was born early, when we were leaving hospital two months later she was still very small but she fit comfortably in to the seat especially with the insert that comes with it. We have been using it again for our son who was born in October and I still can't find any faults with it! Love the insert, it makes it look much cosier for newborns/small babies. It is easy to clean, the shooulder straps can come off so can clean them better. It has a hood over too so I can close the hood when in the car so he can sleep better without distractions of seeing his sister next to him so much. I love that it can be used with and without ISOFIX so I can take him in any car without worrying about the safety - even though I do prefer using ISOFIX. 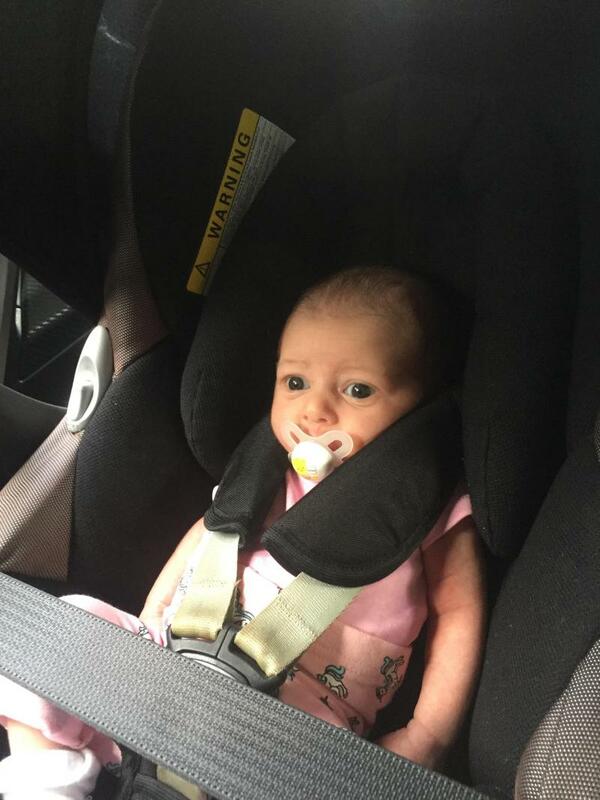 Overall this car seat has been great, I’m a first time mum and found this very easy to get the hang of! My baby loves it and always falls asleep within minutes of being put in the seat! Would be lovely if it had a recline option but overall this car seat has been fab and I would definitely recommend. I have been used it with both of my children. 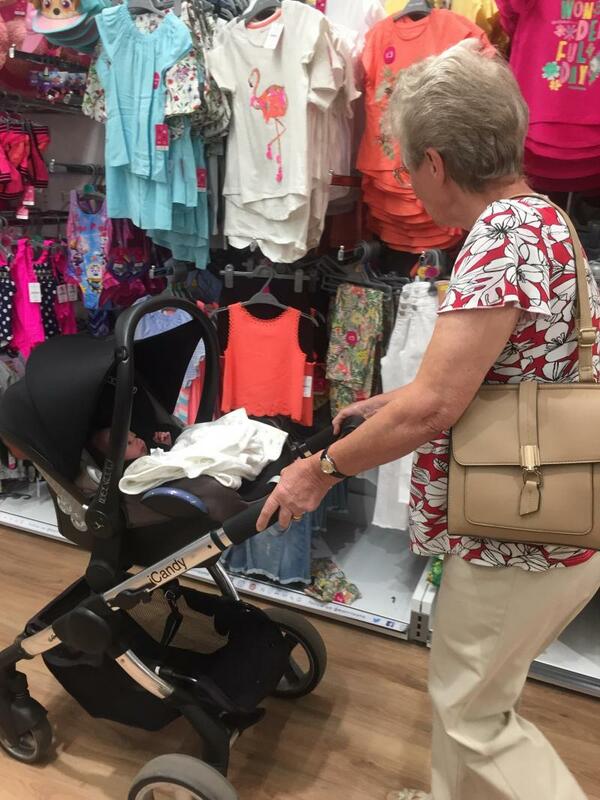 They can be add to the Mothercare Orb pushchair with an adaptor easily. Still use with my one year old son in the car as he is small still fit in safely. Use as long as we can, love it. 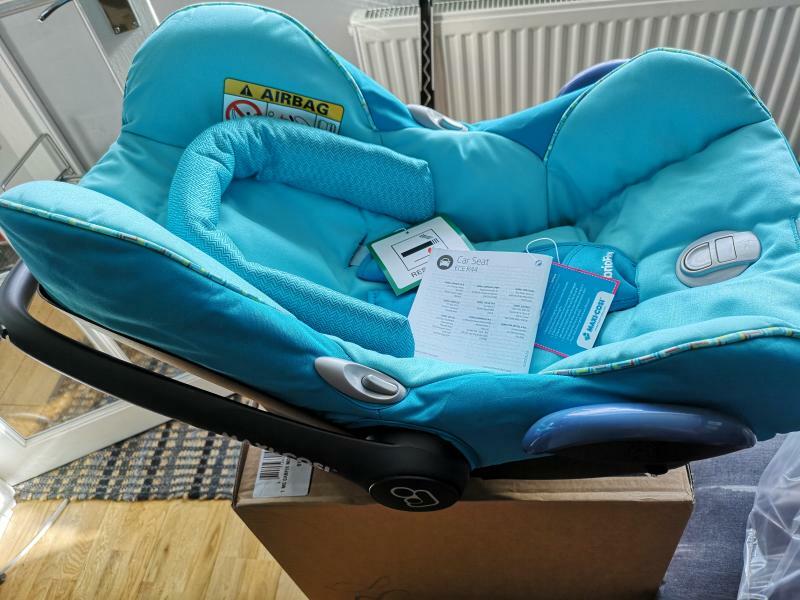 Then Maxi-cosy cabrio-Fix is a brilliant first time car seat, it’s easy to work out and has a newborn inner seat cushion that can be removed as they grow. It has adjustable straps to make it easier to do them up and make them secure. The handle is move able with easy buttons to make it easier to put the baby in and out. It’s secure and really safe which is reassuring for a parent or Carer. Easy grip handle, easy use clips, solid, sturdy and reliable. A lovely, sturdy and reliable car seat. Variety of colours and fits our bugaboo bee 5 well with adapters. 5 point harness is easy use and secure. I have just purchased my second one I liked it so much, so very easy to use and adjust the straps. However I find as the baby begins to grow the seat becomes very heavy and awkward to life for someone with my very slight build. Absolutely brilliant when used with an isofix though. Comfortable and has head support. I got this car seat and used it for both my children. I loved the head support and the continue support it gives up to when they grow out of it. It also has nice padding for comfort for them. It's easy to carry and can be put into different buggies. The lightweight Maxi-Cosi CabrioFix infant carrier is suitable from birth to 13 kg and is compatible with Maxi-Cosi and Quinny pushchairs to form the perfect travel system. This car seat features enhanced Side Protection System and a soft chushioned seat with newborn seat reducer. Practical belt hooks will assist in keeping the harness out of your way when placing your child in the seat. A one-pull harness adjustment ensures that it is set at the right tension. As your baby grows, the harness and headhugger can be altered so that it is always positioned correctly. 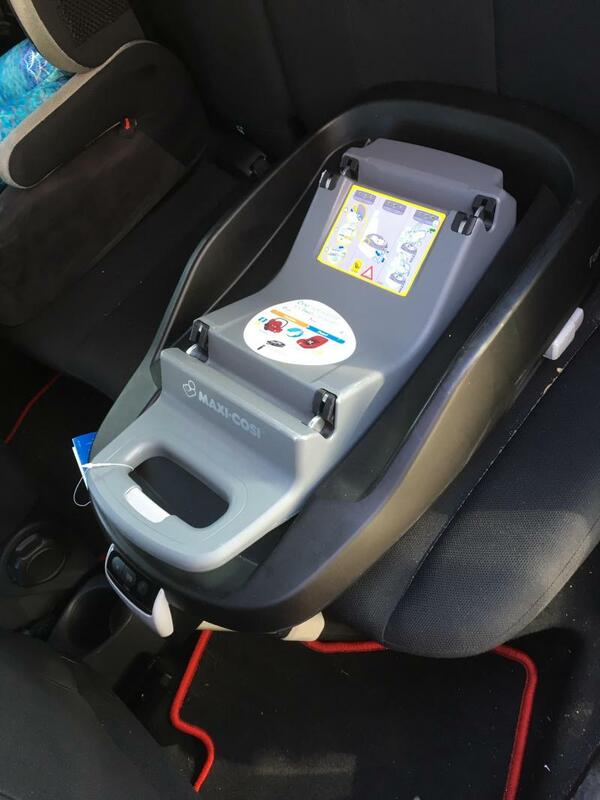 The CabrioFix installation is very easy with Maxi-Cosi's range of click-and-go base units or it can also be installed using the car's three-point seat belt. When used in conjunction with Maxi-Cosi FamilyFix Base a light and sound indicator will notify you of its correct installation. The car seat can also be adjusted into a unique upward position so older babies have more legroom. As a result, you can use the seat for longer in the rearward facing position which is the safest way for younger children to travel. 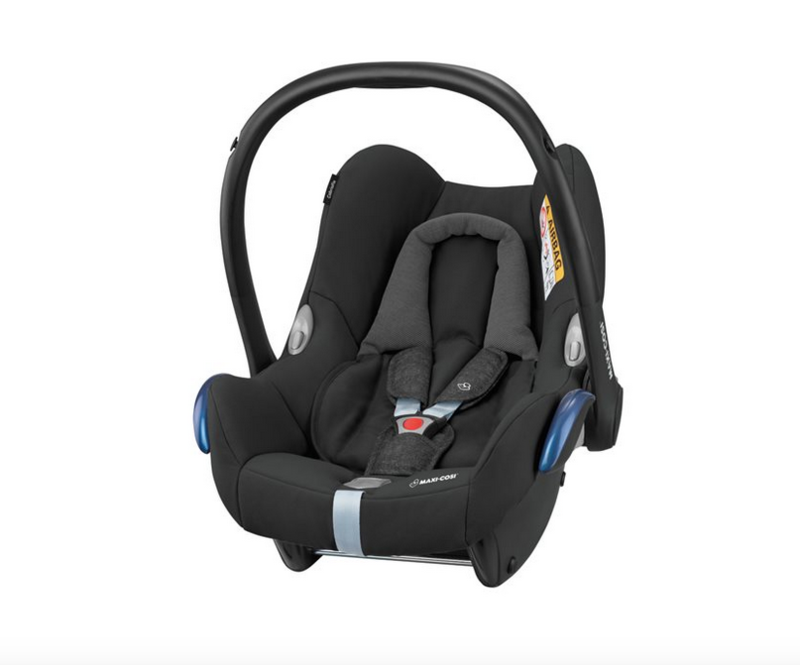 This car seat has been designed with your little one's comfort in mind: it is supplied with a headhugger, newborn seat reducer, chest and buckle pad and an integrated sun canopy. It also features an extra comfortable ergonomic carrying handle to make it easier for you to transport.